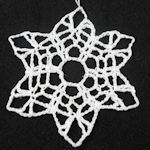 Star of David Ornament -- $1.99 A Crochet pattern from Julie A Bolduc. 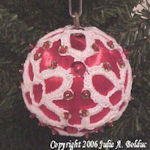 This ornament was designed as a result of a direct request from one of the members of the JPF Crochet Club. 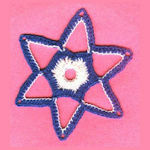 It is the closest I could come to making it look like the Star of David. It would make a great package topper or a window ornament any time of the year.